This weekend, to prepare for today's first day of Madama Butterfly rehearsal, I read the new novel (published by Dial Press in 2011) by Angela Davis-Gardner, Butterfly’s Child. 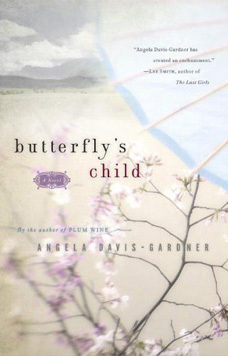 This page-turner picks up the story where Puccini’s opera leaves off, and follows Butterfly’s Child—here called “Benji” after his dad—on his journey to America with his long-awaited Papa-san and new mother, their life on an Illinois farm at the turn of the century, and what happens a few years later when a suffragist comes to town. We also find out how the story of Benji’s parents made it all the way to Puccini. I don’t want to spoil it, so I won’t tell you any more about the plot, but suffice it to say that Ms. Davis-Gardner kept me guessing all the way to the end—and I’ve been obsessed with Madama Butterfly, and with speculating about how else the story might have turned out, for thirty years. 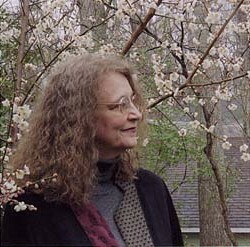 The author, an Alumni Distinguished Professor Emeritus at North Carolina State University, has also lived and taught in Tokyo, and her familiarity with both America and Japan—plus lots of careful research—gives the book a cultural and historical authenticity that Puccini would have envied. She’s obviously a great devotee of the opera, as well, and has even patterned her book structurally after Puccini’s three acts (with musical interlude between parts two and three). Her characters remind me a great deal of the personalities in the opera—Keast is as well-meaning and gentle as Sharpless, and Digby Moffett should be sung by the same singer who sings Goro—and as for her hero, it’s easy to root for Benji. Told in Davis-Gardner’s lyrical, occasionally luminous prose, his story is a compelling read and should delight those already familiar with Madama Butterfly as well as those who are new to this great masterpiece.